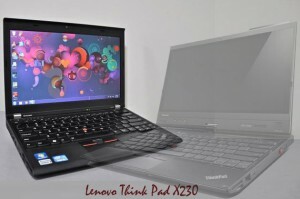 Lenovo Think Pad X230, an ultimate device with best performance and with incredible features. It is 3rd generation Intel core i7 processor. It is with window 8 having display of 12.5 wide view IPS display with 8 hours battery life. It comes with 500 GB of hard disk storage having 8 GB of fastest memory. You can also experience acoustic sound with Dolby advanced audio system. It is tough, slim and light with ergonomics design and productivity. It is with improved keyboard design and optional backlight. It has also 4G LTE support for ultra fast wireless connectivity having two USB 3.0 ports. This laptop is for every generation of people and especially for those who travel a lot and want fast performance with fast speed and connectivity. It has all features one wants in a laptop having a long lasting durability. Laptops are considered best portable devices on which you can work whatever you want to do because not every time you can carry a pc or personal computer, they are hard and heavy to carry. Lenovo Think Pad X230 is with extreme performance whether you play a game on it or listen songs or watching a movie or any multi tasking you want to do. It has 8 hours of battery life. It looks stunning in designs having a traditional business ultraportable look. The ThinkPad X230 has the most robust port layout ever seen on any current-generation 12-inch notebook. There are two Super Speed USB 3.0 ports for data transfers and one always on USB 2.0 port. The X230 comes with a VGA port for business and school projectors, a mini Display Port connection, Gigabit Ethernet and a SDHC card reader and with even with squeezed in a full size 54mm Express Card slot for accessories and port expansion and there is a also a docking station connection on the bottom of the notebook so one can turn this 12-inch laptop into a desktop. Samsung A8 Plus vs OnePlus 5T: Which One is Preffered ?